March is always a great month for me, not only do I get to celebrate my 44th birthday but I also get to make an impact in this world and share the WaterAid's challenge for a third year in a row. I am all about supporting the world’s poorest people to gain access to safe water while also encouraging YOU to improve your health. "One of the main ingredients of beautiful body health is simple – hydration! – and that comes from giving our body pure, fresh, water. It’s my favourite drink. I turn on the tap and there it is – something that helps me feel refreshed after a big work-out and something that I know my kids are benefiting from so much as they grow too (way better than fizzy, sugary drinks that harm their teeth and actually make them thirstier). When I found out a few years ago that WaterAid ran a Water Challenge each March, I was passionate about supporting and sharing it with you. It’s a fun challenge that really makes a difference – not just for your own better health but the improved health of people all over the world. It’s all about raising awareness that more than 800 million people around the world don’t have access to clean, clear water. 800 million! This blows me away. It is also about raising money too – WaterAid’s Water Challenge in March is all about closing the gap on the heart-breaking world water inequality. I love it when things are easy to support and tell your friends about and this one is as easy as it gets. 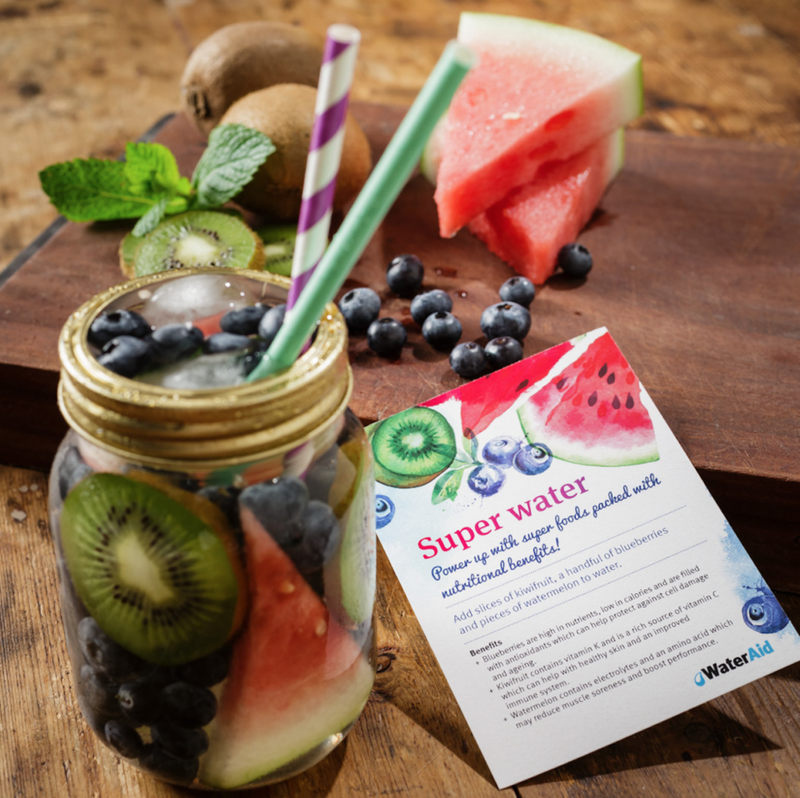 With World Water Day coming up on March 22, WaterAid Australia is challenging Australians just like you and me to take the Water Challenge to improve their health and help raise money to provide life-saving, safe water in some of the world’s poorest communities. You can either choose to Drink Just Water for the whole month of March – or you can get more active and Walk For Water, between 19 Mar - 23 Mar 2018. You’ll find all the details here. I’d love to hear how you’re going. Tag #WaterChallengeAU to show me how you are keeping hydrated! How amazing that we can all make a difference together – and improve our own health at the same time! Drink up, people! Let’s get moving! It's all about being creative! Check out this watermelon and berry infused water, yum. Watch my LIVE daily Instagram stories to see how we stay hydrated everyday.